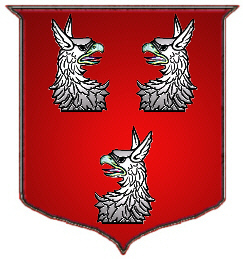 Coat of Arms: Red with three silver griffins heads. 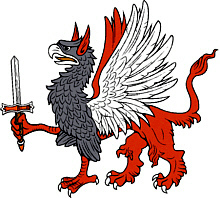 Crest: A red griffin holding in the sinister claw a dagger. 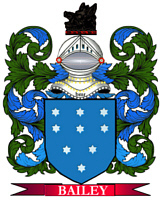 Motto: Malo mori quam fodari.